Toronto is filled with many beautiful restaurants and cafes but it’s without a doubt that there are places that you see all the time on your Instagram feed that you think you’ve seen it all. 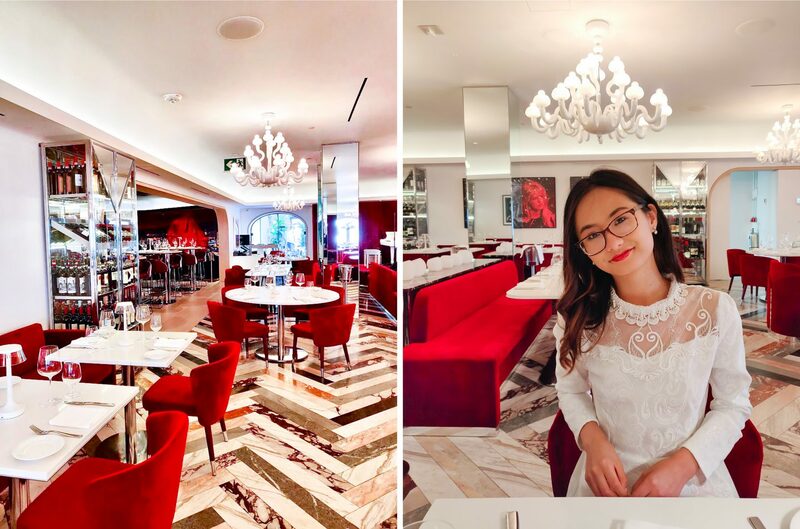 I’ve spent some time researching and visting as many places as I could for you for all the instagrammable places in the GTA that you probably haven’t heard of before. 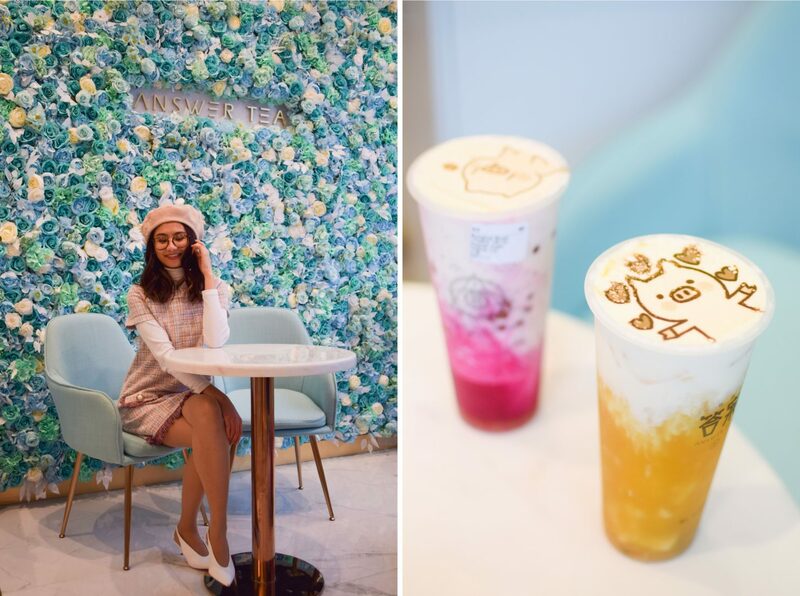 One of the places I always wanted to visit since I stumbled across it on Instagram is this adorable bubble tea place in Scarobourgh. Since I’m never in that area, I decided to go with Noah on New Year’s Day after we were going home from an event out east. 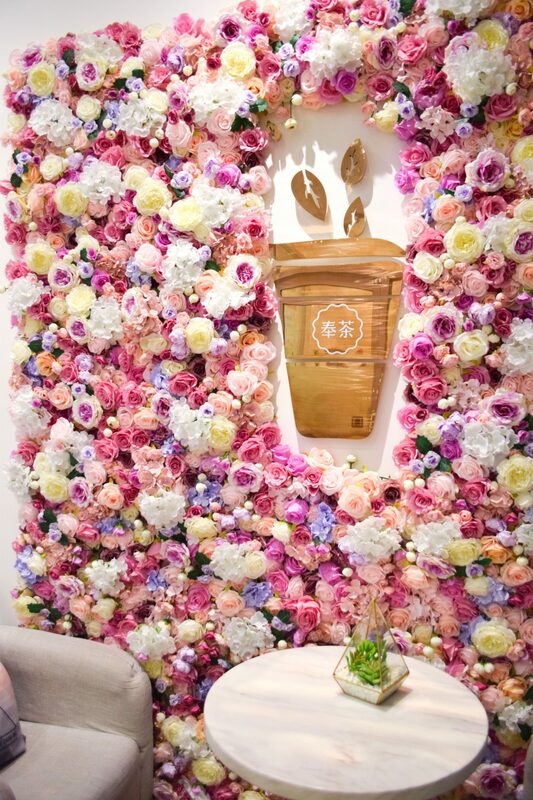 Of course the flower wall met my expectations but the place is rather small so you may have to wait for a seat! Above the Bloor line, there are so many places to visit…from Rosedale to Midtown, there are a bunch of hidden gems. One of the places I visited in the summer is this adorable yellow brunch restaurant called Sophie’s. Unfortunately I haven’t tried their food yet but it’s definitely on my list. It’s definitely a place you’ll want to visit if you want a summer vibe. The minute I saw this place, I knew I had to pay a visit to this bakery because of the Parisian vibes. Since this is in midtown, you should know this beautiful place is actually on a small street in a residential area so don’t expect to be like the city! Summerhill is filled with the most gorgeous houses so you’ll definitely want to move into almost every place when passing by this area. Over the summer, Noah and I celebrated our one year anniversary and went all over the city. The first stop we went to was the newest restaurant in Yorkville called Sofia. It has the most gorgeous interior with vibrant red seating. To be honest, they have a few different areas (patio, back patio and bar) and the colour scheme for each part is different so it’ll feel like a new restaurant. I was absolutely in love with the dish I had (it was chicken!). The latest place I tried was this newly opened pastry shop in Cabbagetown that opened around September 2018. 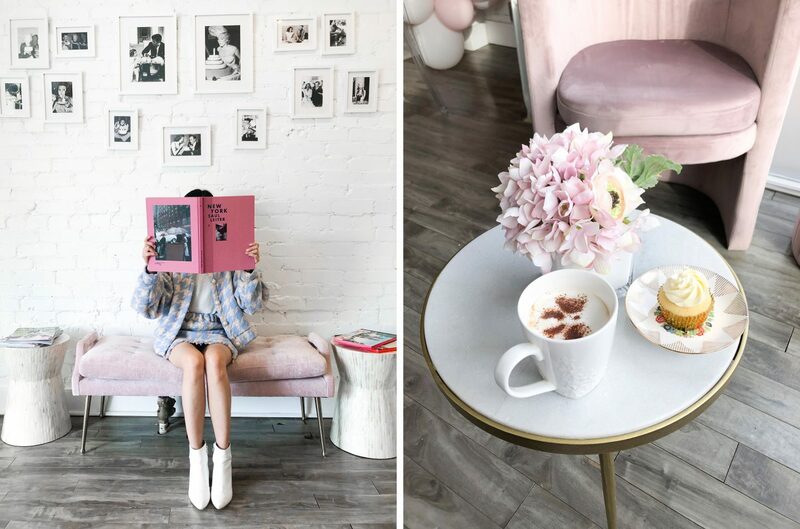 I fell in love with the couches I saw on their Instagram feed and knew it was worth a visit. Noah and I had their cake bars, cupcakes and hazelnut lattes. It was definitely my favourite cupcakes I ever had and the cake bars were next level. 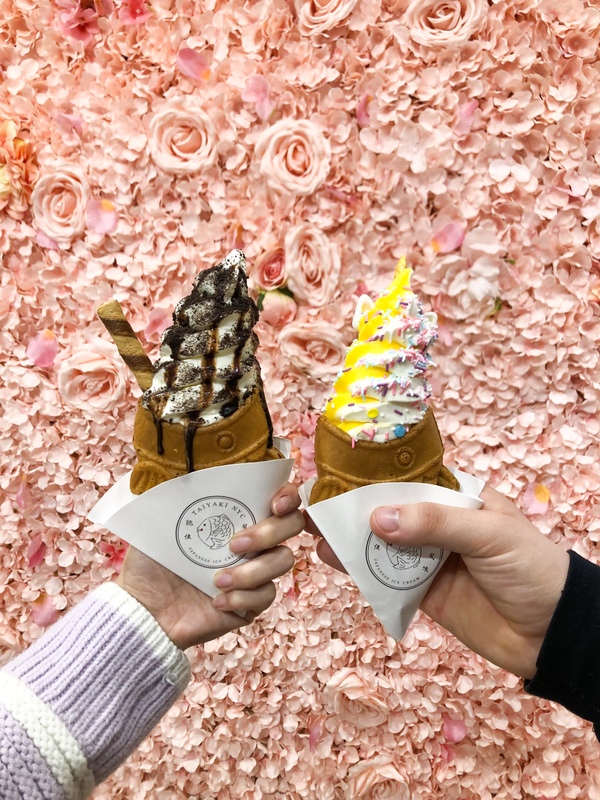 One of the places I’ve wanted to visit was Taiyaki NYC. 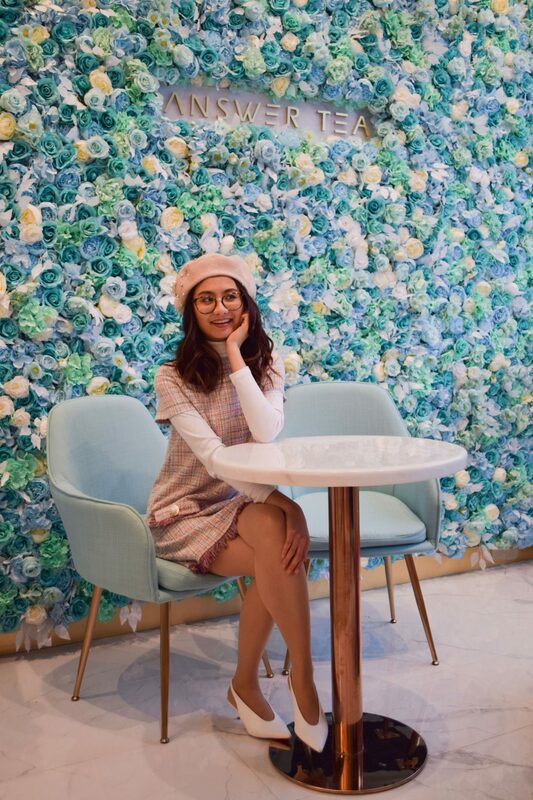 Of course the gorgeous flower wall was a huge incentive but an even better one for me was the fact that it was ice cream! You will have to wait a bit longer for the ice cream but it’s worth the wait for the adorable fish cones. One of the ways I find new places to visit are through articles on media outlets like BlogTO or Narcity. 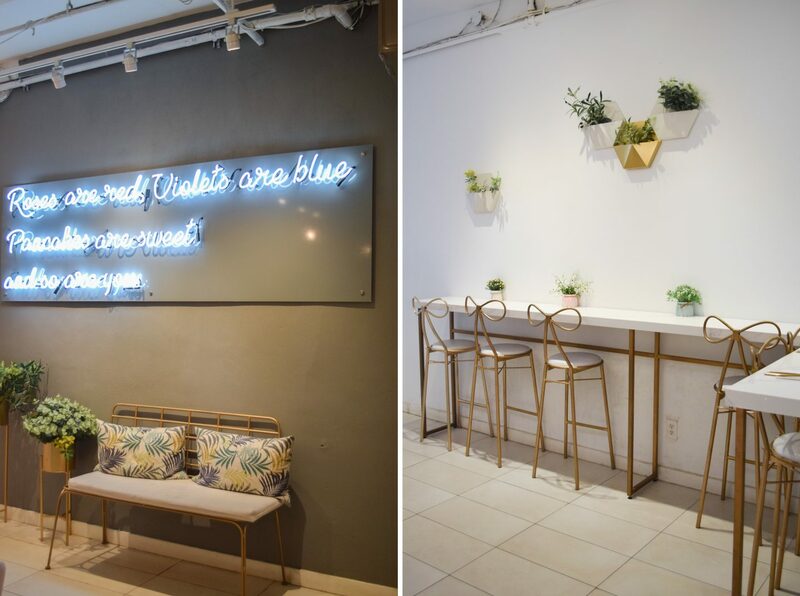 I saw a gorgeous Tiffany blue flower wall with an article on new places opening in Toronto. A lot of those times, those articles are misleading with the photo they use and they use a more aesthetically pleasing photo than the places actually are. 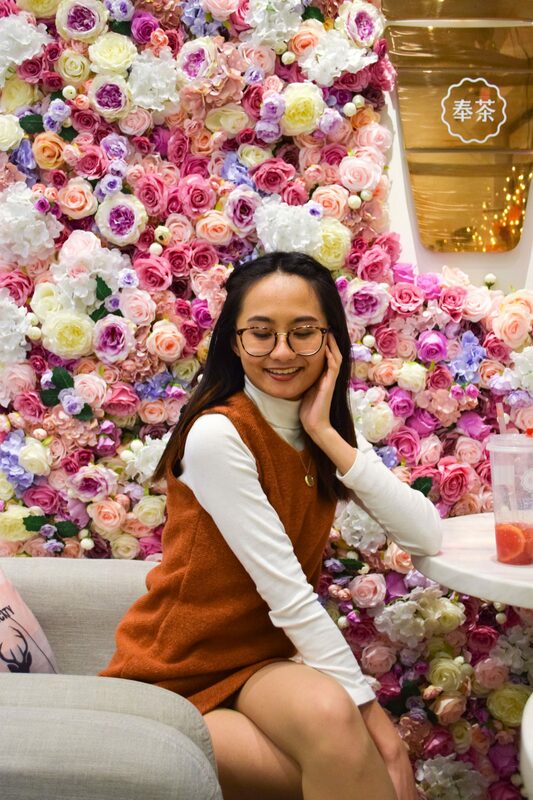 I did some research and saw that they used an accurate photo and began to think that all cute Instagrammable places are bubble tea places haha. Noah and I paid a visit and learned how you can customize your drink with any image you want! You can even have your face if you wanted. Since it was unexpected, we just asked them for anything cute! A couple of weeks ago, Carolina and I went to this adorable cafe that are known for their authentic souffle pancakes. 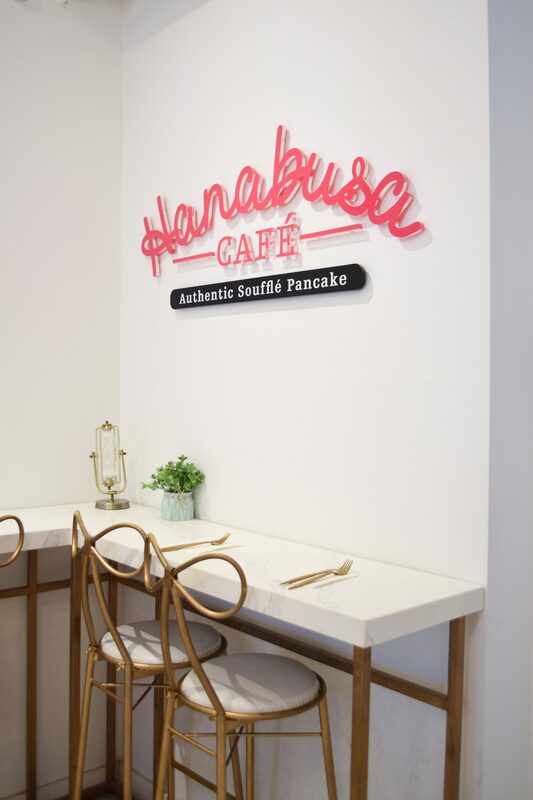 To be honest, I had no idea what to expect but I figured, you can’t go wrong with pancakes and they have adorable bow chairs so it’s a yes from me! They were so delicious and they even customize your coffee with latte art! Of course I had to include something on the West End. If you didn’t read my “Hidden Gems of the West End of Toronto“, you wouldn’t know about all of my favourite places that I go to there. I’m actually in the area a lot but my favourite for aesthetic points is Fantail Bakery & Cafe. I’ve always been drawn to jacquard prints so when I walked by the shop and saw the wallpaper, it was immediately on my to-go list. 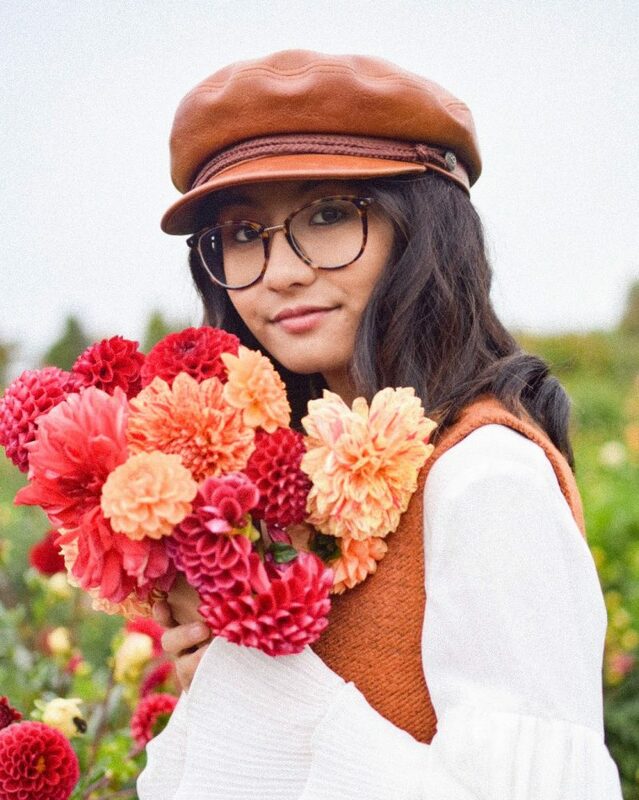 What are some of the Instagrammable places in your city that people might not know about? I’d love to know! Omggg yes! Tag me in your pics if you go! Wow, all these spots are definitely extremely Instagrammable! Love this! These places are all SO CUTE! I want to come! !